Unfortunately the lisianthus, an annual, doesn’t provide the added gift of fragrance that roses can bring… On the other hand, it also doesn’t come with thorns (smile). The lisianthus petals are ethereal and rice-paper thin — a bit less substantial than those on a rose — and they tend to give more with the breeze (a very pleasing effect when looking out on the balcony garden). The stems, aren’t as sturdy as a rose’s either, making them trickier for use in arrangements in my book. 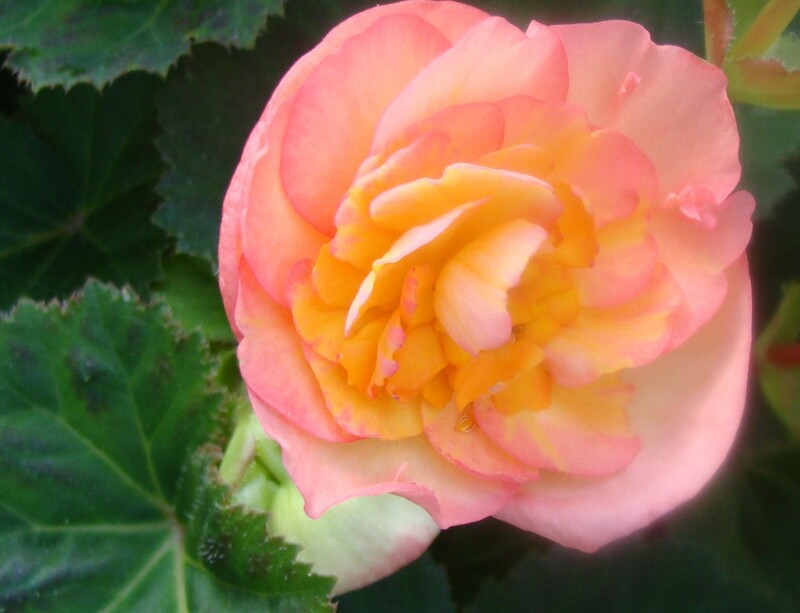 After taking the photo of my lime colored lisianthus my eyes fell on a peach-hued begonia (right) and I couldn’t help but notice how it also resembled a rose in the way the bloom opened. This is a good idea! Yes, Begonia rose and Christmas kalanchoe do have flowers looking like rose. Whenever I am at the nurseries, I love to admire these plants. But I do not have any of those or other plant that has flower resembling rose in my garden. I would love to watch out for your post on rose-like flowers 😉 Btw, your Lisanthus flowers are beautiful! Wow! These are beauties! I loved the purple one–striking! They look beautiful. I especially like the purple one. This has to be one of the most commented on flowers at the flower shop where I work. People love them, they often do think that they are roses, tulips is another flower, people often think it is(more the single rather then doubles). They are great to use in bouquets or vase arrangements, the stems are very thin, but actually quite strong, and the flowers is very long lasting. I love the lime green lisianthus. I used to work in a building with a florist on the main floor, and I would treat myself to these flowers when they had them in stock. Other rose like flowers, eh? I will have to think about that one. The veggie chicken sounds like a good substitution in this recipe. Let me know how it tastes! Avis, the purple-blue is like velvet. Beautiful, I’m not familiar with lisianthus but will be looking out for them from now on. The yellow, blue and lime green is one of my favourite colour combinations. There are certain camellias that always remind me of rose bushes, will have to wait for spring before I can send pics. 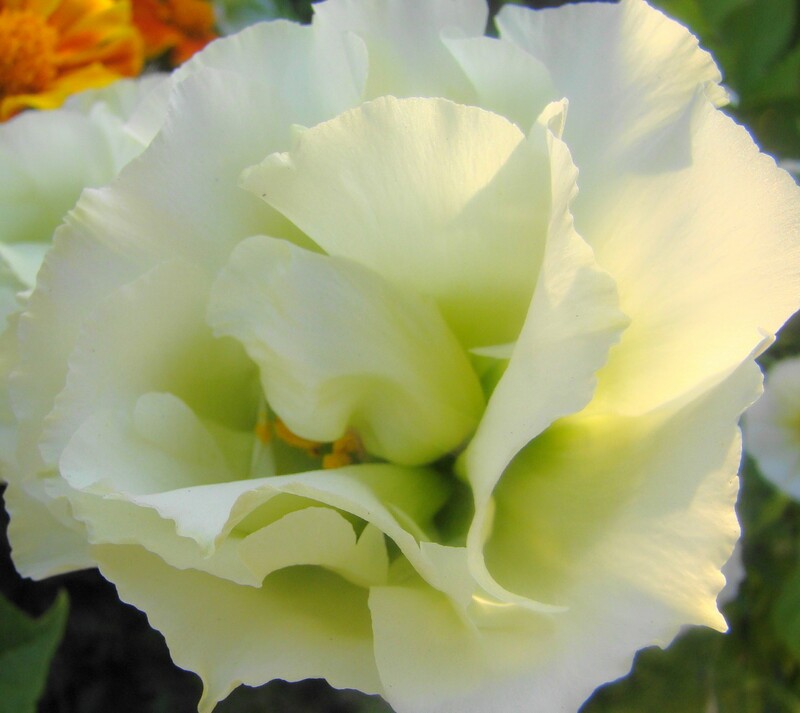 I had seen lisianthus sold by florist and floral bouquets but never in its plant form. Did you plant it by seeds or cuttings? They are lovely, wonder if they are hardy compared to roses. Thanks for the message in Blotanical, just visited your lovely blog and wanted to say hi. 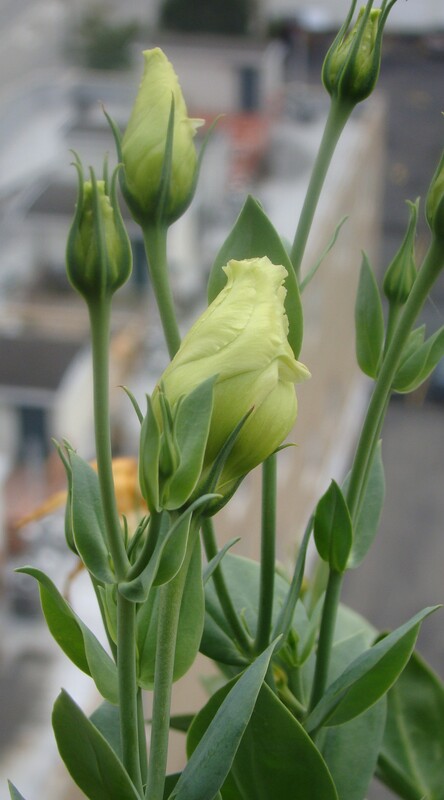 I ordered several small plants of the lisianthus at the beginning of the season. Our weather was really cool here in the spring, plus I had some delays getting my plants outdoors, so I didn’t see blooms until last month. Thanks for stopping by. They are beautiful! I love the richness of the blue, but it’s hard for me to resist lime. That poor yellow — it’s beautiful, too, but it’s not getting the same attention from everyone. I’m trying to decide whether I’d choose fragrance or thorns if I had a rose-like plant. 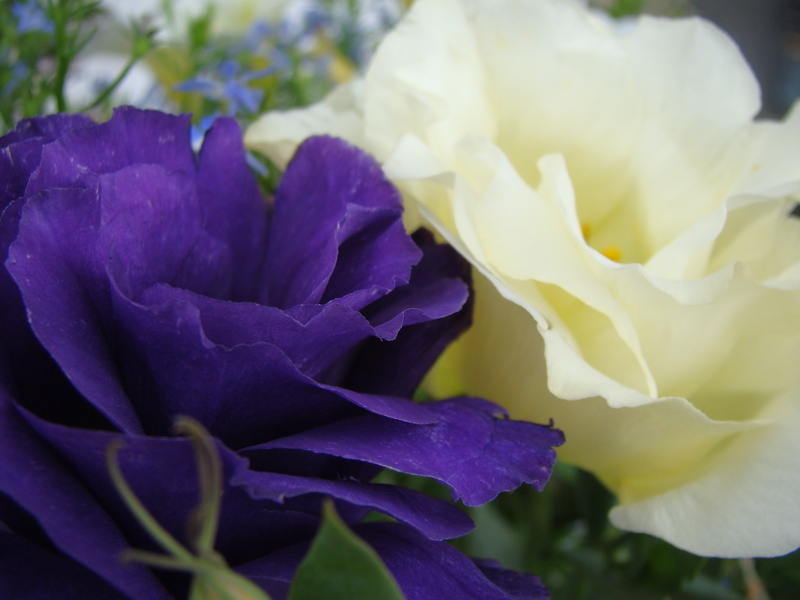 It’s a hard call — but I don’t have either a lisianthus or a rose right now, so I guess I won’t worry about it! I do have a baby begonia, though! Hello Avis, thanks for visiting my garden 🙂 The lisianthus are beautiful. I have not heard of them before but will look out for them, they certainly are rose like. Wow! At first glance I really thought those were roses! Beautiful. Thanks for visiting my blog recently.